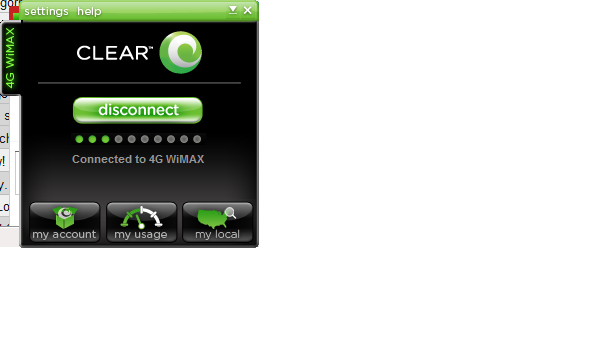 Thinking about getting the new Comcast Highspeed2Go Wimax offering? I was as well since when bundled with home internet service, it’s pretty cheap. Comcast is rebranding and reselling Clearwire if you pick up their “4G” service and Sprint and Clearwire if you get their “4G/3G” card. Do not make the mistake of installing their software as it is lame, broken, and out of date as you might expect from Comcast. Go right to the Clearwire website and use their software. Authentication is MAC based, so it really doesn’t matter what software you’re running, the network doesn’t care. Why run the re-branded and poorly supported software when you can just go right to the source and run it from the real vendor.